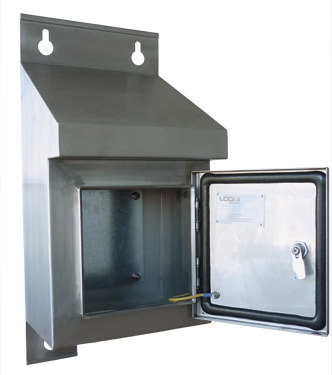 The MBS range of enclosures are manufactured from 2mm AISI 316L grade stainless steel. MBS enclosures comply with the requirement of IP66 in accordance with AS60529-2003. Door gaskets are continuously foamed in place with UV stabilised polyurethane. 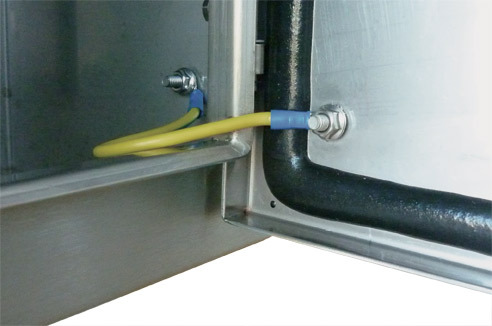 Gland Plates are 2mm stainless steel as standard on all enclosure sizes. The enclosure has mounting provision at the top and bottom. The mounting face is 90mm wide, ensuring it can mount to any surface. The mounting face is double returned to eliminate sharp edges when handling. 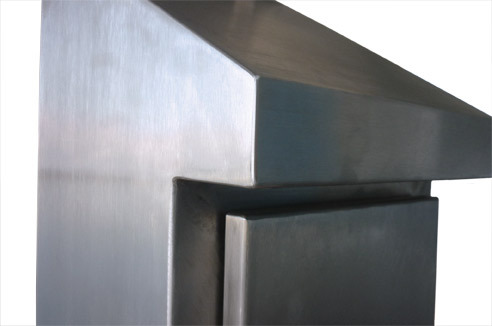 The top is sloped to 30Ëš to ensure contaminants cannot accumulate. The door is hinged on the left hand side and is reversible and the locks are stainless steel as standard with dust covers. 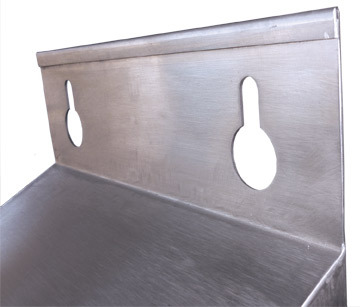 The top overhangs the door by a minimum of 60mm reducing contamination in the top seal. 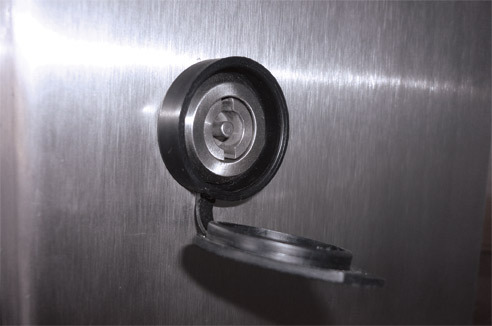 Hinges are stainless steel and are concealed. Hinge pins can only be removed when the door is open. Click image to view gallery (5).